APA will be offering the American Pharmacists Association's (APhA's) Pharmacy-Based Immunization Delivery Certificate Program on Monday, September 24, 2018 at the Central Arkansas Main Library, 100 Rock Street, Little Rock from 8 am to 5 pm. Registration fees for the program are APA Members: $350 and non-APA Members: $450. Click here to register. Contact John Vinson with questions. All Arkansas Pharmacists Association members are on distribution list for all classes. Click here to renew your 2016 membership. APA members get discounted registration for these programs. Click here to be directed to the American Heart Association's website to register for an online CPR training. The course Arkansas pharmacists need to complete for their Authority to Administer is the Basic Life Support (BLS) for healthcare providers. After completion of the online portion, you will be directed to a local CPR training center for the skills check-off portion of the class. Once you successfully complete both courses, you will be given you CPR for healthcare provider's certification that can be used to renew or apply for an authority to administer. Click here to see the current schedule of live CPR training with American First Responder. Please contact Cindy at American First Responder if you have any questions about live training. Arkansas Pharmacist can claim 2 hours of Arkansas State Board of Pharmacy approved continuing pharmacy education for CPR certification or recertification. Click here to access the application for an Authority to Administer from the Arkansas State Board of Pharmacy. Please note, the Board does NOT want a copy of the pharmacist's CPR card with this application. However, each immunizing pharmacist's card must readily available during a pharmacy inspection. 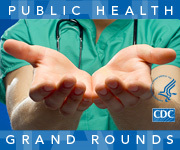 This is a monthly webcast that focuses on major public health issues. Pharmacists may also receive free continuing education credits for participating in these live or archived programs.